PMT 2014-102 by Kenneth L. Gentry, Jr. In this article I conclude the citation of John Lightfoot’s notes on Revelation 22, wherein he discusses miraculous gifts and tongues-speaking as apostolic signs that were not to continue after the fall of Jerusalem in AD 70. Except that those gifted with these phenomena before the fall would continue until they themselves died, and so would end such gifts. At the first dispersing of the gospel, it was absolutely needful, that the first planters should be furnished with such extraordinary gifts; or else, it was not possible it should be planted. As this may appear by a plain instance: — Paul comes to a place, where the gospel had come never come; he stays a month or two, and begets a church; and then he is to go his way, and to leave them. Who now, in this church, is fit to be their minister? they being alike but very children in the gospel: but Paul is directed by the Holy Ghost, to lay his hands upon such and such them; and that bestows upon them the gift of tongues and prophesying; and now they are able to be ministers and to teach the congregation. But after that generation, when the gospel was settled in all the world, and committed to writing, and written to be read and studied, — then was study of the Scriptures the way to enable men to unfold the Scriptures, and fit them to be ministers to instruct others” and revelations and inspirations neither needful nor safe to be looked after, nor hopeful to be attained unto. And this was the reason, why Paul, coming but newly out of Ephesus and Crete when he could have ordained and qualified ministers with abilities by the imposition of his hands, would not do it, — but left Timothy and Titus to ordain, though they could not bestow those gifts: because he knew the way, that the Lord had appointed ministers thenceforward to be enabled for the ministry, not by extraordinary infusions of the Spirit, but by serious study of the Scriptures not by a miraculous, but by an ordinary ordination. And, accordingly, he gives Timothy himself counsel to study, though he were plentifully endued with these extraordinary endowments. And Paul himself had his books for study or he had them to no purpose. even when not in rebellion against him. Important response to modern faith healing claims. And, indeed, it had been the way of God; he hath instructed his people by a studious and learned ministry, ever since he gave a written word to instruct them in. 1. Who were the standing ministry of Israel, all the time from the giving of the law, to the captivity into Babel? not prophets, or those inspired men [for they were but occasional teachers and there were often long spaces of time wherein no prophet appeared] but the priests and Levites, that became learned in the law by study. And for this end, as hath been touched, they were disposed into forty-eight cities of their own, as so many universities, where they studied the law together, and from thence were sent out into the several synagogues, to teach the people: and had the tithes paid them for their maintenance, whilst they studied in the universities, and for their preaching in the synagogues. And it may be observed, that even they that had the prophetic spirit, did not only study the Scriptures themselves, but sent the people for instruction to the priests who were students and the standing ministry. 2. If you consider the times under the second temple, then it was utterly impossible, that the people should be taught but by a studious and learned ministry: for the spirit of prophecy was departed and the Scriptures were then in an unknown tongue, to all but students. And hence they had an interpreter in every synagogue, to render into the vulgar, what was read in the law and the prophets in the original. So that the Spirit of God inspired certain persons, whom he pleased, to be the revealers of his will, till he had imparted and committed to writing what he thought fit to reveal under the Old Testament; and when he had completed that, the Holy Ghost departed, and such inspirations ceased. And when the gospel was to come in, then the Spirit was restored again, and bestowed upon several persons for the revealing farther of the mind of God, and completing the work he had to do, for the settling of the gospel, and penning of the New Testament: and that being done, these gifts and inspirations cease, and may no more be expected, than we may expect some other gospel yet to come. These messages provide a Reformed analysis of the role of Israel in the New Covenant. and that Israel is no longer a distinctly favored people. Many thanks Dr Gentry, I found Lightfoot’s comments on the Synagogue to be very interesting. I understand that in the 17th century, in sharp contrast to today, the majority view was that the instiution of the synagogue was part and parcel of israel’s life right from their first days in the Promised land. Could you a comment a little more on this thought and explain why this view lost out to the understanding that the synagopgue came out of the Exille? Moreover, do you think that the 17th century guys were right in their understanding? PostmillennialismWorldview is published regularly, with a goal of posting new articles twice a week (Tuesday and Friday). Enter your email address to follow this blog and receive notifications of new posts by email. AND to receive free occasional pdf study papers. If you sign up for AmazonSmile on Amazon.com, the AmazonSmile Foundation will donate 0.5% of the purchase price of eligible AmazonSmile items. This does not add to your own purchase price, but it does support my research and writing ministry. GoodBirth Ministries is raising funds to subsidize Kenneth Gentry’s exegetical and theological research. And your help is much needed and appreciated. 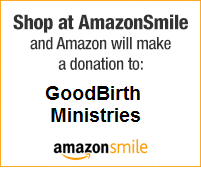 If you would like to read more about GoodBirth’s project or make a tax-deductible donation, please go to: GoodBirth Ministries website. WHEN DO DANIEL’S WEEKS BEGIN? The PostmillennialismWorldview header was designed by Brian Godawa.